Healing, energy boosting, fat torching… these words describe certain superfoods that are essential to every human being’s diet (If you want to live a healthy life). Unfortunately, many people are not a big fan of superfoods (Healthy foods) with all the fast, tasty and cheap options that we have at our convenience. Some people may think that “superfoods” are expensive and they take too much time to prepare and so it’s not worth it. This is a misconception and your health should be your priority over convenience every time! 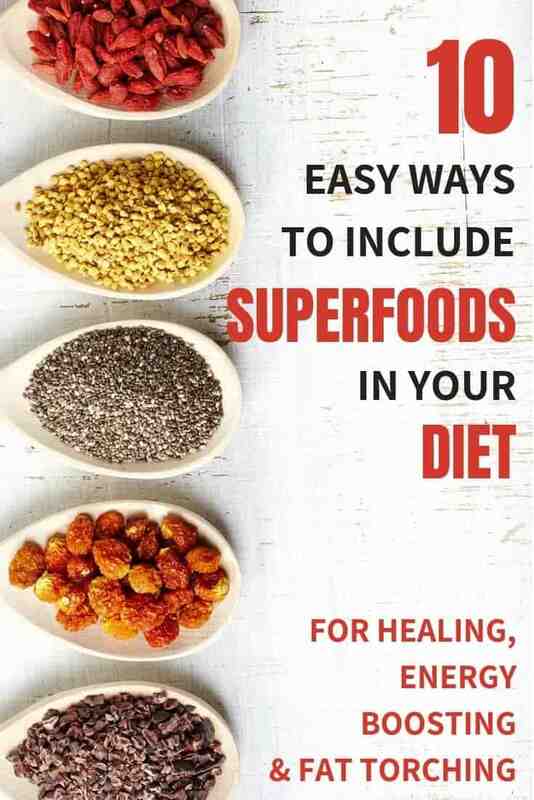 It doesn’t take much to add superfoods to your diet and we are going to show you just how to do it! It’s true! So are so many flavorful and satisfying superfoods out there that you can literally come up with so many combinations, that you are excited to eat these superfoods with/as your next meal. Make a smoothie/shake with your favorite berries, dark leafy greens nut butter, seeds, avocados etc. Add some Stevia (If you wish) and almond milk… and you’ve got yourself a Superfoods packed Powerhouse! Be creative and experiment with different (Healthy) combinations and involve your family/friends in the health journey and they will be on board in helping you create healthy combinations of superfoods. Most people need something to put the finishing touch on their meals and the fact that superfoods can make such delectable desserts is a very attractive way to convince yourself to eat more superfoods. Who doesn’t enjoy a good snack? Nobody would answer that. Snacks are unfortunately the problem when it comes to many people’s bad eating habits. Chips, cookies, sodas you name it. That’s why snacking on things like almond butter, fruits, seeds (Even better when you put them together) is a better idea than the processed stuff many consume. Having a nice berry or banana shake with some protein powder and a little nut butter mixed with almond milk is a great post workout shake. Superfoods, in general, are great for fueling you after your activity sessions. What better way to get all your superfoods in one bowl than a salad with greens, nuts, berries, avocados, eggs, seeds etc. A salad is without a doubt the most popular and widely accepted way to incorporate all of these superfoods to be consumed together in just one bite. Superfoods are essential for deep sleep so eating foods that are natural, light and sedating (Almonds, spinach, oats) are ideal before bedtime and a great reason to add them to your diet. Habits are what form our long-term behaviors so in order to consistently add superfoods into our diets, we must make it a daily habit. The superfood choices we have are abundant and so if there’s a superfood that makes you happy and helps you stay on target, then, by all means, EAT IT! 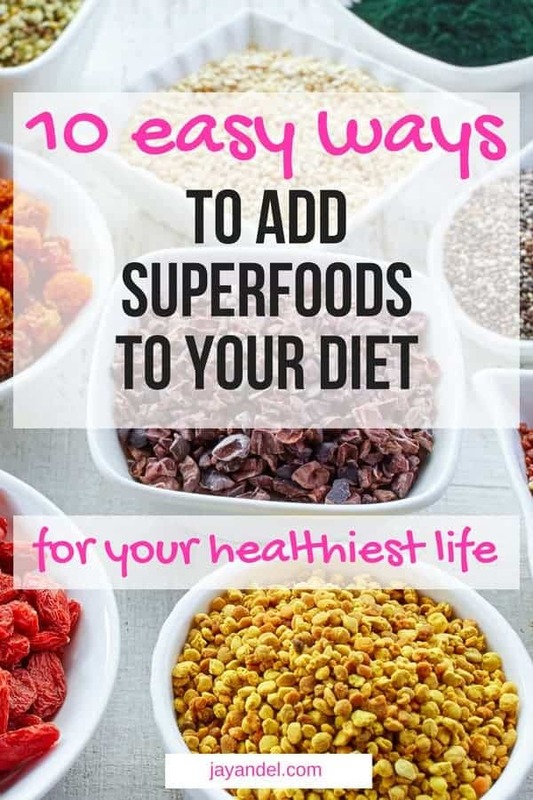 If you want to improve your health and daily functioning, we highly recommend adding superfoods into your diet using the above ideas as well as your own. There are so many great reasons to consume more superfoods, so make sure to load your shopping cart with plenty of them! How do you like to get your superfoods? Follow us on PINTEREST for more Healthy Living Tips!